The tulips in my garden started to blossom. This one however told a story. It happened to be the smallest tulip in the garden and grew the slowest. 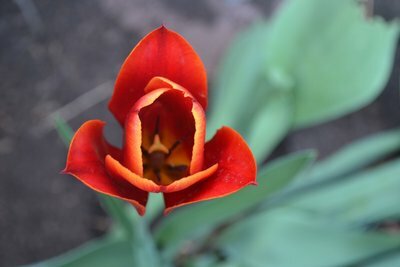 However, this tulip’s colour was the most vibrant and the most passionate. It happened to remind me of myself, someone who is small but mighty. This is why when I saw this tulip, I knew it was the one, the one that told a story.